The Financial Services Legislation Amendment Bill may have passed its third reading without opposition – but the members of parliament who spoke in support of it showed some confusion about what the bill actually contains. The bill, which amends legislation governing all financial advisers, was passed on Thursday night. Ten speeches were given in support of the bill, after two were offered on Tuesday. Labour MP Jo Luxton said the bill would make changes to the way advisers operated. “It away the incentive for the advisers to sell or promote—I guess sell might not be the right word—a particular product because they may get commission from that and have their own interests at heart," she said. "But what this piece of legislation does is ensures that financial advisers have to put the clients' interests first, and that is really important because we do need to prioritise their interests, and they only can give advice where they are confident to do so." 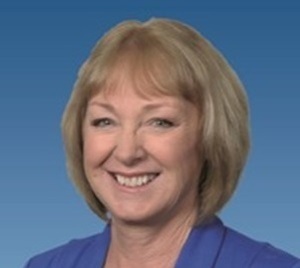 Former Commerce Minister Jacqui Dean congratulated her successor, Kris Faafoi, for being the one who got the bill across the line. “It happens all the time, you know—one minister initiates the work, maybe another one takes it the way through, and then some lucky guy gets to bring it to the House and bask in the glory. I'm not hurt… It is good," she said. "It's a good piece of work, and when we do talk to members of the financial advice industries—I did just last evening—there is a good understanding of the regime, and there is a good understanding and acceptance and enthusiasm for the new compliance requirements, new standards of financial advice, and also for putting the needs of the client right at the very forefront of financial advice provision in New Zealand." She said she was particularly interested in the fact the formally bill clears the way for personalised roboadvice. “Having said that, actually, the Financial Markets Authority (FMA) did authorise—or was it the Commerce Commission? No, it was the FMA—the provision of robo-advice ahead of this legislation. I can't remember. Maybe the Minister can remind me—FMA? I think it was." Green MP Jan Logie also highlighted roboadvice. Labour MP Kieran McAnulty said financial advice was increasingly important for an ageing population. "Not everyone is born with a great array of skills. I can only speak for myself; I was born with very little. But one of those skills that not many people hold is financial capability...as people reach a certain age they start to want to ensure that the money that they've saved away for their retirement is in good hands. I think that just makes absolute sense, so when you're looking to ensure and give people the confidence that the financial advisers that are assisting them to make decisions about their money are doing so under a regime that instils them with confidence." I was burned badly during the GFC when an ANZ/ING joint venture plunged 15,000 financially illiterate term deposit holders into two unit funds that loaded up with toxic derivatives known as collateralized debt obligations, or CDOs. Both funds collapsed. If the ANZ advisers who lured in those unsuspecting deposit holders had actually read the financial media (they just needed to read, for example, the Financial Times), they would have (presumably) not done this. Likewise, the senior bankers who prescribed the sales pitches needed to do the same--read the financial pages. They obviously did not. Neither did the ING "experts" who "managed" the funds, the DYF and the RIF. People claiming financial expertise need to know something about investing. This may sound silly. Yet many do not. All sorts of regulatory measures can be prescribed, but until anybody claiming advisory capabilities is allowed to "advise", they should at a minimum, know what is happening in the financial world. In the ANZ/ING scandal, nobody, to put it kindly, did know. It is remarkable. In the case of the ING frozen funds, a reader of the Financial Times knew more than the ANZ/ING experts that promoted the two doomed funds. I recently used Nikko's new Goalsgetter Roboadvice tool to do a retirement calculation. It calcaluted I need $2.5m plus in my KS to retire. One of their base assumptions was that I would need the same income as I earn all the way through retirement. A human adviser would more than likely work this out based planned expenditure in retirement and based on this come up with a lower income amount needed. Maybe some MP's need to use these tools and they would work nothing beats the human touch. Firstly: it's refreshing to hear from an investor's perspective, and a good reminder of what their experience of the industry has been in recent years. Whilst I believe that the NZ financial services industry has come a long way since the DYF/RIF days, the industry needs to regain consumer confidence through continued understanding & research and less complacency. Now more than ever, industry participants need to earn their money through putting their client's interests ahead of their own. Secondly: The majority of robo-platforms are elaborate marketing gateways to assist investors in directing large portions of their investment assets into an asset gatherer. Unfortunately these mechanisms will appeal to those price sensitive consumers who are unaware of "you get what you pay for" and will ultimately contribute to future challenges. In the 6 years to 2012 there were some 67 finance company failures, resulting in over 200,000 depositors losing some $3,000,000,000. It bothers me more than a little that the DYF and RIF invstors are among the more vocal victims of GFC period losses. Because DYF and RIF investors weren't any more financially illiterate, nor deceived, nor lured nor unsuspecting than anyone else. But, when it comes to the actual loss, they were among the better outcomes. Over time they ended up with >60c in the $, plus interest, plus tax claims, which was considerably better than those caught by Hanover, Capital + Merchant, Bridgecorp and others. Fact Check: Of the 15,000 investors, less than 3,000 were 'clients' of ANZ "advisers". I'm the last one to defend a bank, but perhaps after 11 years your memory has regressed into an inaccurate narrative. It is curious that our pollies are so keen on robo, when overseas markets are already growing weary of them. DYF RIF suspended April 2008. ANZ offer June 2009. 5 years 8% monthly compounding. Including tax relief most investors received $1.16 back for every dollar invested. Yes one of the better outcomes of the GFC.